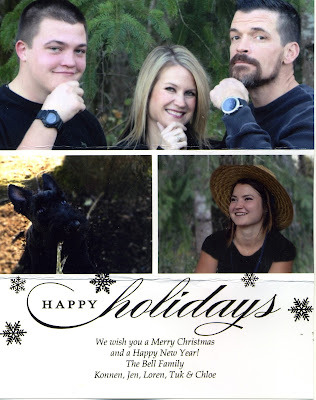 Montgomerie of Camas - AKC Scottish Terriers: email: Merry Christmas! Merry Christmas! Just wanted to send a little card with current picture of TUK! He is adorable & such a great addition to our family! We Love him! He is growing & adjusting well to life on our 5 acre farm. In fact we had to modify our fence to keep him out of the neighbors vegetable field- he loves to explore & chase birds & squirrels. I am so glad we found you two & your wonderful puppies.